The Federal Premium .224 Valkyrie Fusion MSR ammo is the perfect load for hunters going after medium-size game animals, thanks to the combination of bullet design and the specially tailored design of the .224 Valkyrie round. 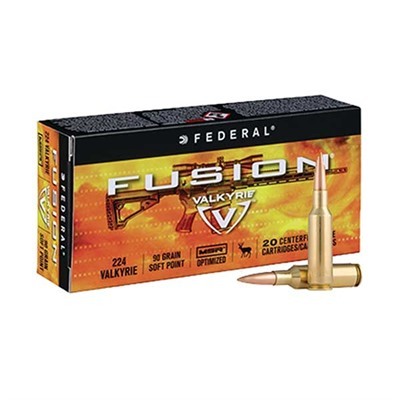 The Federal Premium .224 Valkyrie Fusion MSR ammo is specifically formulated for optimum performance in today's popular modern sporting rifles, having been loaded with quick-burning powder that works well with standard AR-style rifle barrels. The ammo also uses specially built primers compatible with the free-floating firing pins used in MSR rifles.